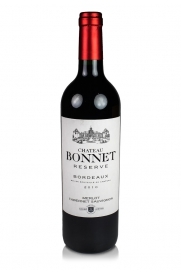 A well-made red Bordeaux with a smooth feel and a nose bursting with fruit. 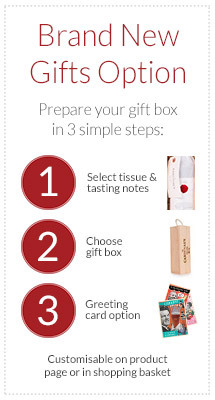 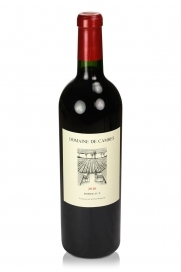 Dark berries, cherries and smoky notes characterize this great value red. 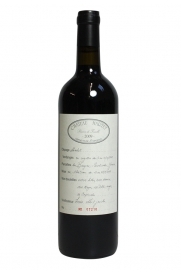 Made from a blend of Cabernet Sauvignon and Merlot with no use of oak in the ageing process so as to bring out its fruity nature. 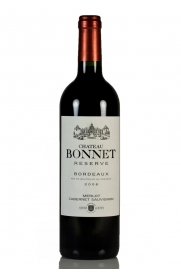 Château Bonnet, AC Bordeaux, is made from a blend of 59% Merlot, 40% Cabernet Sauvignon and 1% Cabernet Franc grapes. 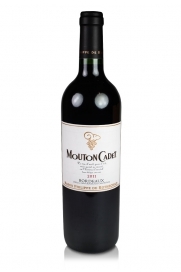 Made only from Merlot and coming from the older vines, this wine undergoes an elevage in new oak which gives it the structure for a long age in bottle and very much crowns it as the top wine at this extraordinary château offering incredible value. 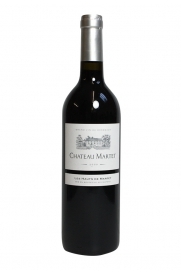 As a second wine of Château Martet, the fruit from the younger vines go towards the production of Les Hauts de Martet which is made from 100% Merlot grapes. 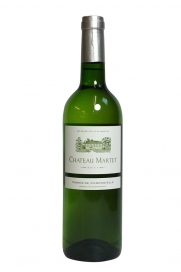 Les Hauts de Martet, 2009, is a wine that boxes well above the weight of its modest appellation and offers great value. 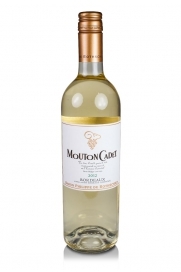 A red Bordeaux wine made in an easy drinking , fruity style providing an ideal introduction to the wines of the region.